Nordic Group International has worked with many – and varied – clients in the last 30+ years. 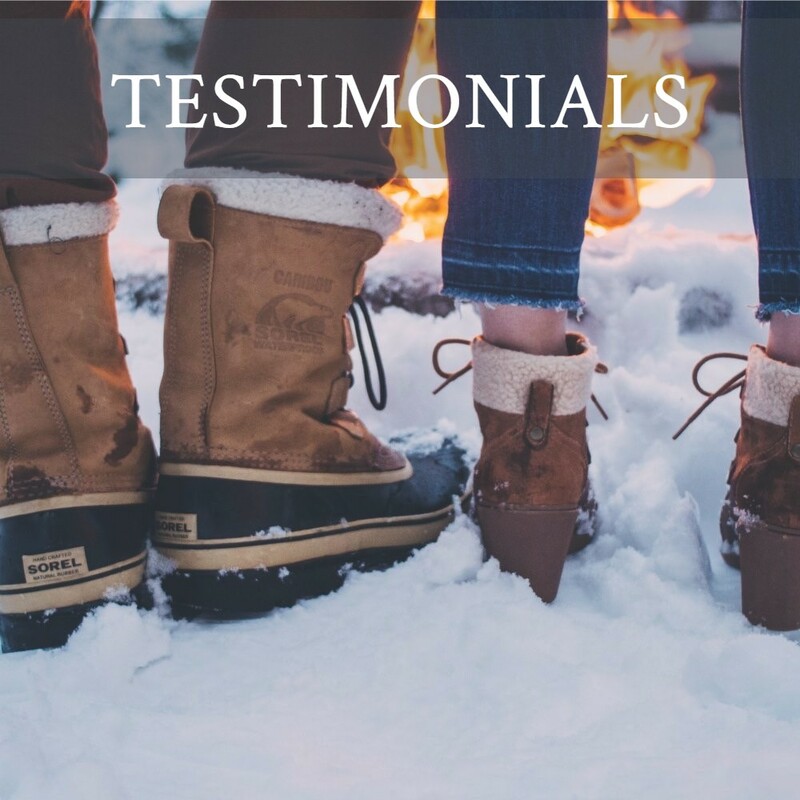 From large operations to small, four-season resorts to guest ranches… from feasibility studies to operations assessments. NGI planned several stages of growth under the auspices of the Economic Development offices for the City of Sault Ste. Marie and the Southern Algoma Tourism Region. A market assessment evaluated the viability of Nordic skiing as a major component of the area’s winter tourism menu. The project included a phased Master Plan and Development Plan for a sub-regional network of multi-season trails. This included linkages with residential areas, schools, businesses, and trail services. These connections became a catalyst for developing community support and tourism appeal for the network. The team of Nordic Group International, SE Group, and Samyn-D’Elia Architects completed a Master Plan for renovations to Newfoundland’s Blow Me Down Ski Club’s trails and facilities. The plan detailed the concepts for a new eco-focused, multi-functional ski lodge, a renovated base area and signage system, improvements to the stadium, lighting, and biathlon system, and recommendations for trail and operations enhancement systems. A key objective was to recommend trail upgrades that would allow year-round use of the trails and buildings, as increasing use was over-taxing facilities. Working in conjunction with SE Group, NGI provided a detailed Strategic Business Plan for the Bridger Ski Foundation’s Community Nordic Trails Program in Bozeman. Research included physical, market, and financial data in order to formulate strategies, recommendations, and actions for growth of cross-country skiing in the Bozeman locale. Intent was to secure the future of Nordic ski trails in town via more permanent use agreements, while also considering existing and potential sites within 15 miles of the city; and to secure the viability of the community Nordic ski trails program, including increasing community goodwill and funding sources. The study included a 47-question community-wide survey. John Frado worked with the Calgary Ski Club and CHS Snowmakers to assess potential for making snow on 3-5 km of trail and two instructional terrain gardens, on the city’s Shaganappi Golf Course. After discussions with various city departments, a snowmaking system was designed that is expected to use a combination of airless and semi-airless guns, coordinated with strategically placed water supply sites, portable pumps and generators, and an irrigation pipe and firehose distribution system. NGI conducted an assessment of the Nordic elements and potentials in the Crested Butte Valley and associated drainages. The ensuing report covered issues, hurdles, and diverse points of view regarding the role of an expanded Nordic focus. Attention to connecting trail corridors was driven by important tourism-enhancement benefits that would result from uniting disparate trail zones to create a critical mass for target market appeal. Elements discussed included pros and cons of the existing Nordic Center building, current trail networks and potential connectors, motorized use issues, as well as community support and the need for more trails, better trails, and more sophisticated trailside services. NGI also proposed a series of short-term actions, ranging from staffing to facilities, marketing to signage. Devil’s Thumb is a diverse 6,000-acre four-season guest ranch with a major Nordic operation (100 kilometer trail network). They retained NGI’s Jonathan Wiesel to expand and refine winter operations as well as to evaluate facilities. 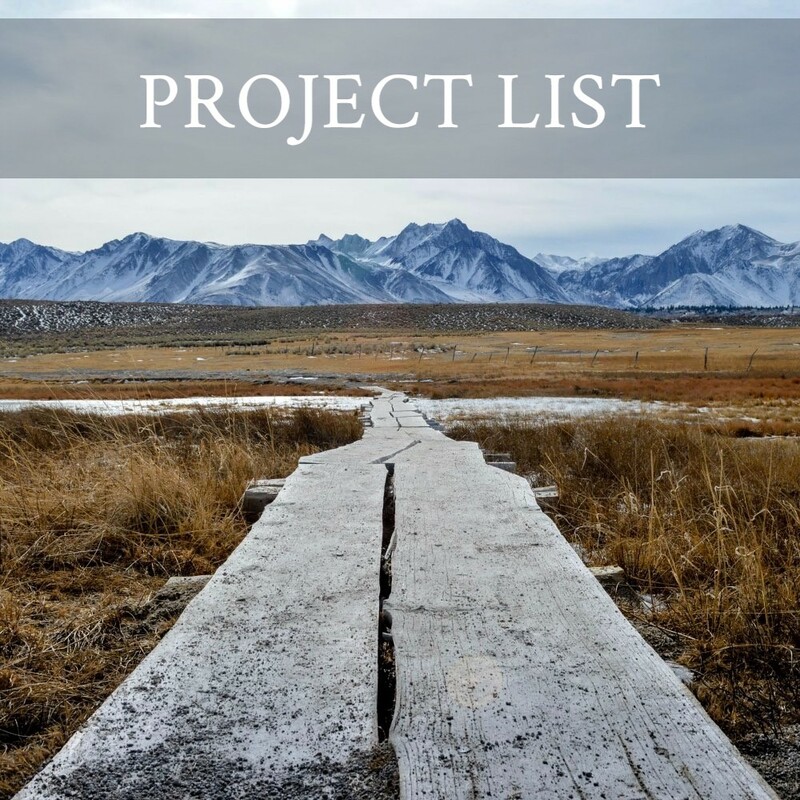 The project included creating development priorities as the land base tripled in size; coordinating facility and trail expansion; building marketing partnerships; developing new programs; and pricing services. In 2016, USA Today selected the ranch as one of North America’s Top 5 cross-country ski resorts. NGI completed a Master Plan for this remote historic lodge in the Sawtooth National Recreation Area. The project’s aim was to facilitate the lodge’s sale and secure its future as a high-quality, non-motorized, trails-driven resort. We addressed opportunities for interim enhancement and/or phased replacement of existing facilities. Development concepts required meshing with U.S. Forest Service goals as well as meeting extensive environmental and interest group concerns. Sun Valley tourism and cost-effective multi-season operations were also major considerations. Recommendations included intra-regional trails, shuttle systems, strategic trailheads, and establishment of a regional trails association, much of which has been instituted. Nordic Group developed a comprehensive trails Master Plan for Canada’s ‘Capital Park.’ We created inventory and analysis models for an assessment of Gatineau’s 400-kilometer trail network, and then designed specifications and operations recommendations that helped create a detailed blueprint for phased advancement of objectives. Multi-season trail uses were correlated with trail character and qualities, natural resource impacts, economic implications, park objectives, and trail user requirements. Project recommendations included development of a hierarchy of trails, trail hubs, and peripheral trail services (public and private); and introduction of Canada’s first trails-use/parking fee (to facilitate funding development and operations). Gatineau consistently has had the highest number of cross-country skier visits of any area in North America. This 1,100-acre parcel was part of a privately-owned operations base for the Mount Washington Summit Road Company. The Glen sits in the heart of the scenic Pinkham Notch corridor and is surrounded by the White Mountain National Forest. John Frado’s unique planning solution resulted in the sale of 900 acres to the U.S. Forest Service, with rights reserved to build a 40-kilometer Class-1 trail system and associated support facilities. The remaining 200+ acres were retained for developing core services including a trails lodge, ponds, warm-up loops, terrain gardens, snowmaking, and trailside cabins. The Trails Park was designed as a profit center that – in conjunction with the Auto Road – would also leverage investment for a resort hotel, conference center, and White Mountain museum. Local communities have bonded in the process of developing cross-forest trail connections with Great Glen. Future partnerships can build regional tourism and reduce the need for intensive trail development within the Glen itself. This project was an update of the original Heritage-Greylock concept of the 1980s, where Nordic Group served as lead recreation consultant. John Frado’s revamped plans called for a resort with conference/outdoor center as the focus of sustainable economic development under the auspices of the Massachusetts Department of Environmental Management. More recent concepts included a four-season, state-of-the-art, non-motorized trail system (40+ kilometers) as a major component, integrated with an 18-hole championship golf course. Ultimate build-out anticipated snowmaking for several terrain gardens (20+ acres) and 10+ kilometers of snow-made cross-country ski trails. NGI was retained by the City of Steamboat Springs to carry out a feasibility study for a world-class Nordic Center on Emerald Mountain, abutting the town. Asked to determine whether the Nordic project was viable and what components and scale would be necessary to make the concept workable, the study evolved into evaluating potential for a world-class multi-season Trails Park. The report evaluated pros and cons of trails-based development, concluding that the area offers extraordinary multi-season recreation potential, benefiting the Steamboat Springs community while at the same time creating a financially self-sustaining tourism magnet. NGI evaluated the results of a national advertising campaign for the Jackson Hole region. Our report determined why travelers did or did not visit in winter, either as independent vacationers or booking through travel agents. The project also evaluated the effectiveness of advertising on travel agent attitudes toward Jackson Hole and on public perceptions of the region. This project required a Master Plan for the phased replacement of a 1920s motel/lodge complex with a full-service, trails-driven resort. The existing lodge (located in the Kaibab National Forest) is the only travelers’ facility on a 40-mile dead-end parkway that accesses National Park facilities on the North Rim of the Grand Canyon. Environmental constraints eliminated the possibility of facility expansion at the Rim, while overzealous timber harvest on the abutting National Forest pushed U.S.F.S. management toward greater accommodation with tourism. NGI’s Master Plan focused on developing inter-agency and private partnerships that would create tourism services on the National Forest. The concept included higher-quality lodging, camping, interpretive and recreation programs, and trails. A 60-kilometer, non-motorized, year-round trail network would include several shelters (yurts) and connect the lodge to the nearby Arizona Trail, as well as several key trails into the Canyon. Snowcat shuttle services would provide winter access into the lodge (25 miles) for cross-country skiers. NGI evaluated the recreational infrastructure and program performance of this world-famous guest ranch, including the relationship of its trail system (horse, mountain bike, hike, cross-country ski) to the communities and businesses of surrounding Big Sky. Our study assessed performance and existing strategies within the context of projected consumer trends as well as land-use, growth, and environmental issues. The final report made recommendations for enhancements and expansions to ranch infrastructure and defined strategies to secure ranch assets, signature community qualities, and regional tourism performance. NGI was retained by Menihek Nordic Ski Club and landowner Iron Ore Company of Canada to assess the impact of IOC’s planned new ore conveyer route on the ski club’s famous trail system and the Labrador City community. Concluding that the conveyor and associated mining would have a major and possibly terminal effect on the existing system, Nordic Group provided alternate routing, together with detailed trail construction guidelines and cost estimates. Longer-term, NGI made recommendations for refining operations and for master plan considerations for stakeholders if the base and trail system need to be moved to a different site. Methow Valley Sport Trails Association (MVSTA – now Methow Trails) requested that NGI create a Winter Marketing Plan for one of the most extensive and sophisticated trail networks in North America. Jonathan Wiesel’s sweeping but practical report covered not just familiar elements such as advertising and publicity but also evolving markets, developing a “marketing mindset,” current and potential local attractions, how to build midweek and group business, an evaluation of current marketing materials, and budgeting. The document also provided a multi-year Action Plan. Moonlight Basin retained NGI to provide an introduction to Nordic ski operations, especially markets, and then to produce a detailed summary of Nordic potential (both pros and cons). This included the charisma and location of a proposed major multi-season Trails Center, supported by an initial 25 km of groomed routes; trail design priorities and layout; and anticipated costs and time-frame for trail construction. Constraints included development pods and wetlands. The report incorporated an evaluation of site character; ways to make the Nordic element a signature component of the resort; an analysis of state-of-the-art trail construction methods, specs, and sequence; and recommendations for sustainable design and “green” construction as well as winter operations, particularly grooming and trail maintenance. NGI was requested to conduct a development plan assessment at this major alpine/cross-country day ski area near Bend. Our report presented an industry overview, site evaluation and recommendations, and various development scenarios. Sub-topics included competition, management priorities, marketing, and expansion potential. John Frado planned, designed, supervised construction, and managed operations of major multi-season, multi-use recreational facilities for Northeast Utilities. This included picnic areas, campgrounds, portage trails, interpretive trails, wildlife management areas, interpretive riverboat trips, recreation skills and environmental education programs, a visitor/program center, and a 40-kilometer multi-use, non-motorized trail system. Northfield was awarded National Recreation Trails status in 1979. Tamarack is the first new four-season ski resort in the U.S. in more than 20 years. Jonathan Wiesel worked to create and refine a major cross-country ski operation coordinated with multi-season recreation (alpine skiing, golf, mountain biking) and especially real estate development. Responsibilities included network layout, risk management evaluation, staff training, program development, marketing, grooming machinery selection, operations evaluation, and potential trail links to nearby communities. The project included plans for lighting five kilometers of snowmaking for Nordic trails. Jonathan Wiesel conducted a Nordic evaluation for this new ranch near Steamboat Springs. The assessment concluded that the extensive ranch would work best in all seasons as a small, specialized, and luxurious operation – elegant, high end, with very high service. It recommended that Three Forks establish unique market niches in order to be successful in winter, promoting the property as an exclusive, all-inclusive accommodations/activities package that embraces a gamut of on-site recreation (cross-country skiing, snowmobiling, and snowshoeing), plus nearby downhill skiing. The Town of Breckenridge commissioned NGI to evaluate potential for Nordic trails and facilities within the Golden Horseshoe, an extensive and controversial (motorized vs. non-motorized) area adjoining the existing Nordic/golf operation at Gold Run. Assessment elements included natural and historical features as well as trails, roads, and multiple land ownerships, together with current backcountry guidelines and uses. The report concluded that despite complexities, and with the Town of Breckenridge as lead agency, the Golden Horseshoe can sustain substantial non-motorized trails infrastructure, together with a lower level of motorized use. NGI also recommended that a Master Plan be initiated for multi-season/multiple-use trails and facilities, with infrastructural phases initiated by performance triggers. Whistler Sport Legacies retained SE Group and Nordic Group International to undertake an analysis of successful Nordic ski operations and business models that can be considered for the future operation of Whistler Olympic Park (WOP), in order to provide a better understanding of how the “legacy” operation can sustain itself in the future. The consultants were asked to identify elements such as emerging Nordic facility trends in North America; how WOP is positioned from an operations/business perspective; operations models; and challenges and success factors at post-Olympic Nordic centers. Ultimately, SEG and NGI utilized a SWOT approach to what has worked elsewhere and can work at WOP. Whatever the type or scale of project, Nordic Group International’s primary aims are to make the product successful and the process as simple (and enjoyable) as possible. We’d like to thank the clients who make consulting such a pleasure – and for their kind words below.